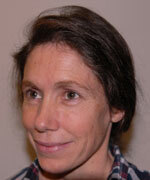 Catherine (née Bridge) is English, grew up in Hong Kong and has lived in Norway since 1988, mainly in Oslo. She has a BA honours degree in German and French from King’s College London, a postgraduate certificate in education and a diploma in teaching English as a foreign language. She has taught in secondary school and adult language classes, and has worked as a medical translator. She has translated a number of CMI items into Norwegian.